Excellent package downloads from the featured in download libraries! Use the popular software programs categories, watch the most recent versions of the famous programmes, and test at once! Do not miss an option to download the best computer software: employ SoftEmpire website to obtain programs for free. See the catalog of freeware and software app trial versions. pick out among Windows applications, acquire manipulators, softwares for relax, and all other kinds of utilities for your PC or mobile gadgets! 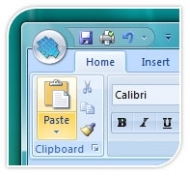 BCGControlBar ("Business Components Gallery ControlBar") is an MFC extension library that allows you to create Microsoft� Office 2000/XP/2003/2007 and Microsoft� Visual Studio-like applications with full customization options (Ribbons, Customizable Toolbars, Menus and more) and a rich set of professionally-designed GUI controls such as Calendar, Grid, Editor, Gantt and many others. BCGControlBar Professional Edition includes many advanced features such as detachable tab panes, auto hide panes, new docking algorithms (similar to algorithms introduced in Microsoft� Visual Studio� environment and Microsoft� Visio�), text editor with syntax highlighting and IntelliSense�-style support, Office-style calendar, professional grids and much more! The library architecture is based on our own MFC-compatible implementation of control bars. A Good Auto Tracing tool for .Net, support Debug and Release. Not need source code. Convert JPG,TIF,PNG,GIF,BMP,WMF,EMF,PCX,TGA images to PDF documents royalty free using DLL. Supports Bates numbering, clickable image stamps (eg company logo), bookmarks, image re-compression and 40 or 128 bit document encryption.